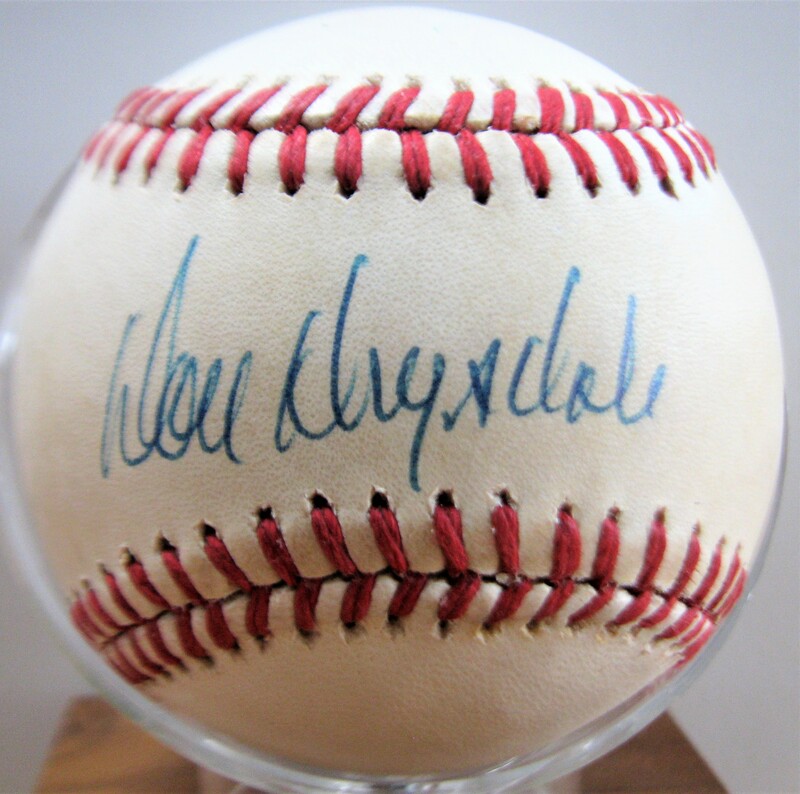 Don Drysdale Signed Baseball. 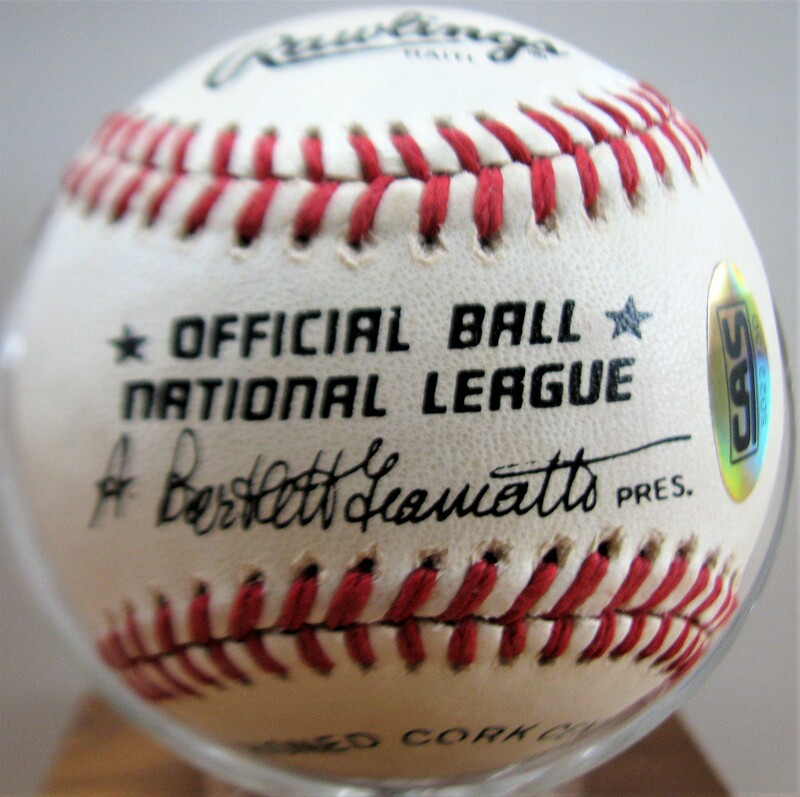 Don signed in blue pen on this Official National League Baseball. 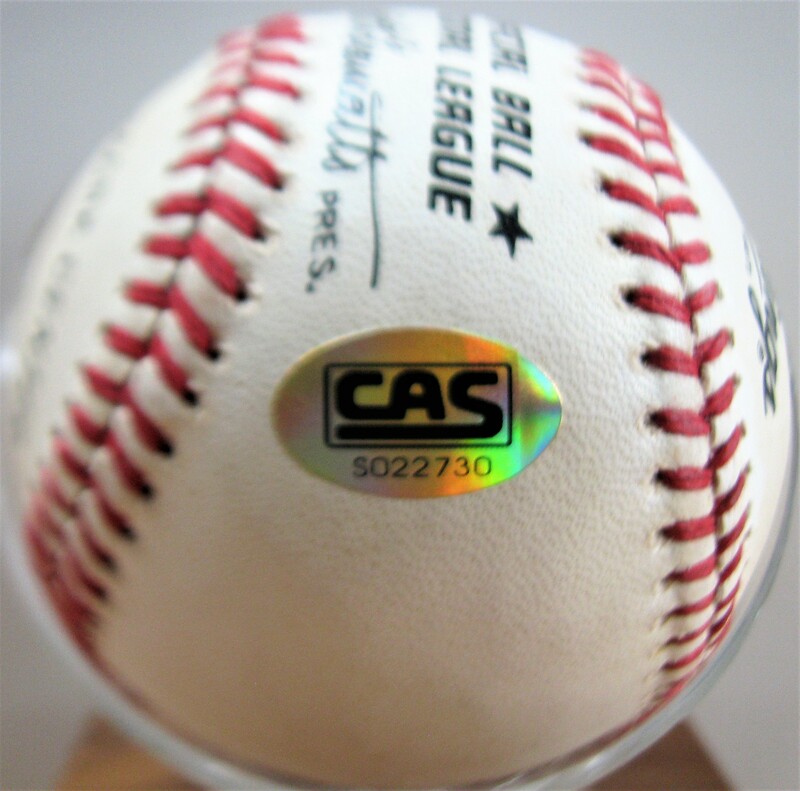 The ball has a touch of light toning and comes with a COA from CAS Authentication.